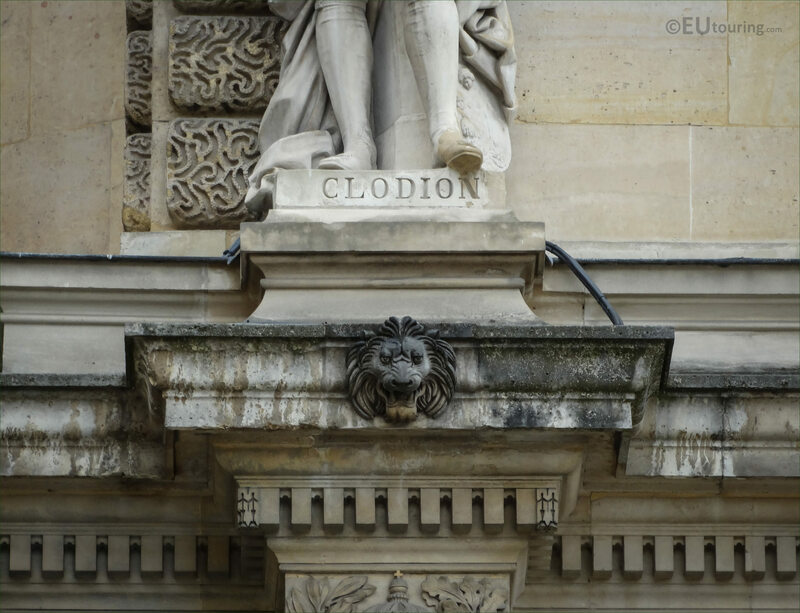 Again we were admiring the facade of the Rotonde d'Appollon wing of the Musee du Louvre, when we took these high definition photos showing the statue of Clodion, which was sculpted by Vital Gabriel Dubray. 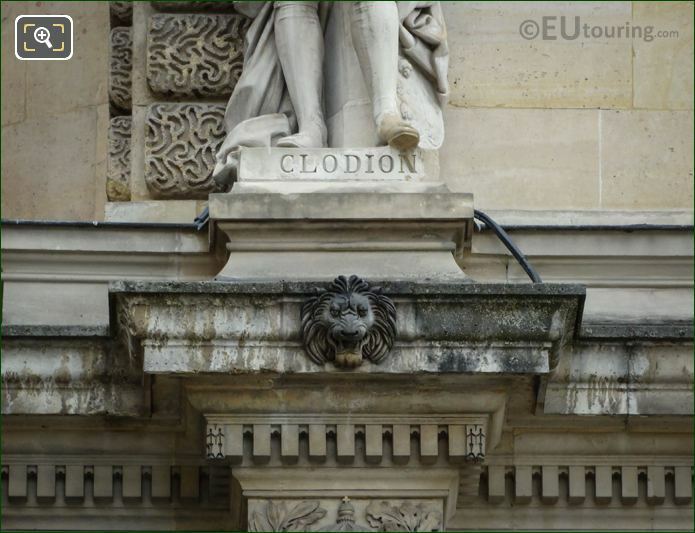 Located in the 1st Arrondissement of Paris, we took this first HD photo of the stone statue depicting Clodion from where we were standing in the Cour Napoleon courtyard, and this is positioned on the first level and is situated third from the left hand side as you are looking at the facade where it steps out. 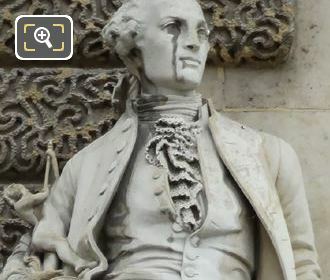 So this statue was produced by Vital Gabriel Dubray, who was born in Paris on 27th February 1813, and becoming a French sculptor he produced numerous works during the Second Empire both in Paris and for other cities in France, and passed away in the same city on 1st October 1892. 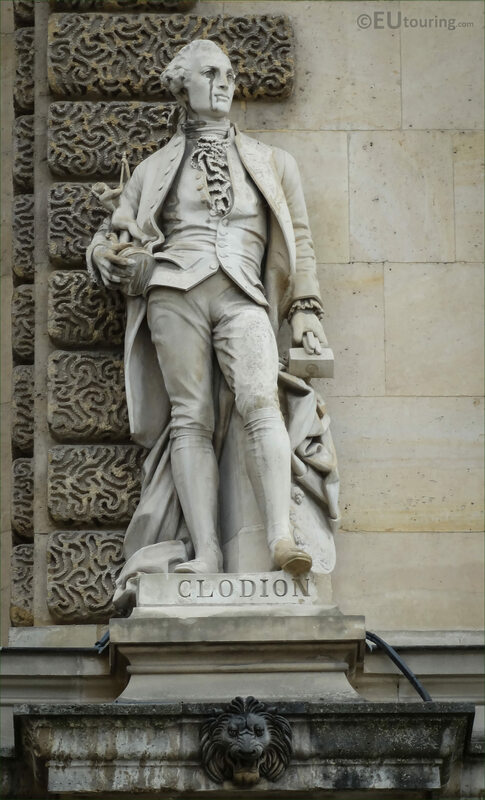 And in this last close up image you can see the base of the stone statue dedicated to Clodion, who was actually born Claude Michel on 20th December 1738, yet was always known by the name of Clodion, which is how he signed all his works after becoming a French sculptor. 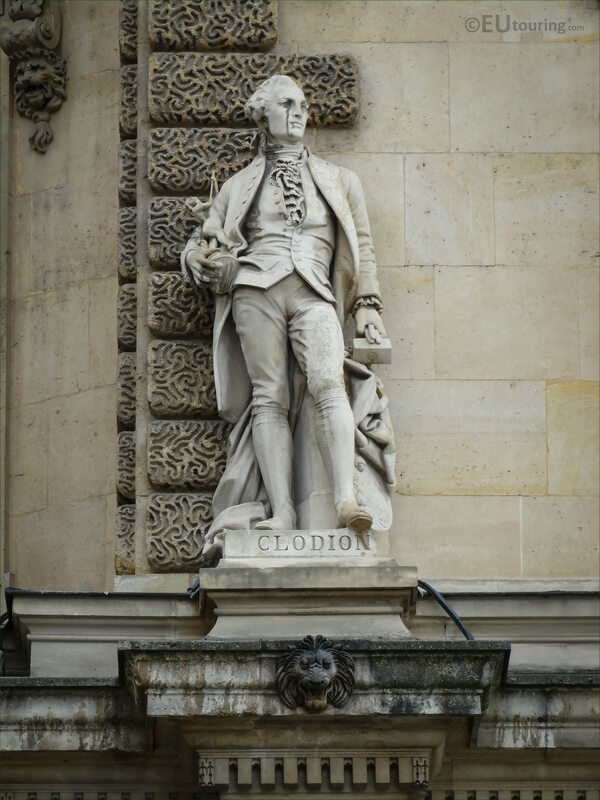 So, although he was born in Nancy, he went to Paris and initially studied under his uncle, yet having won the first prize for a sculpture in 1761, he continued his studies in Rome, producing numerous statues and sculptures prior to returning to Paris in 1771, although he is best known for his terracotta works. 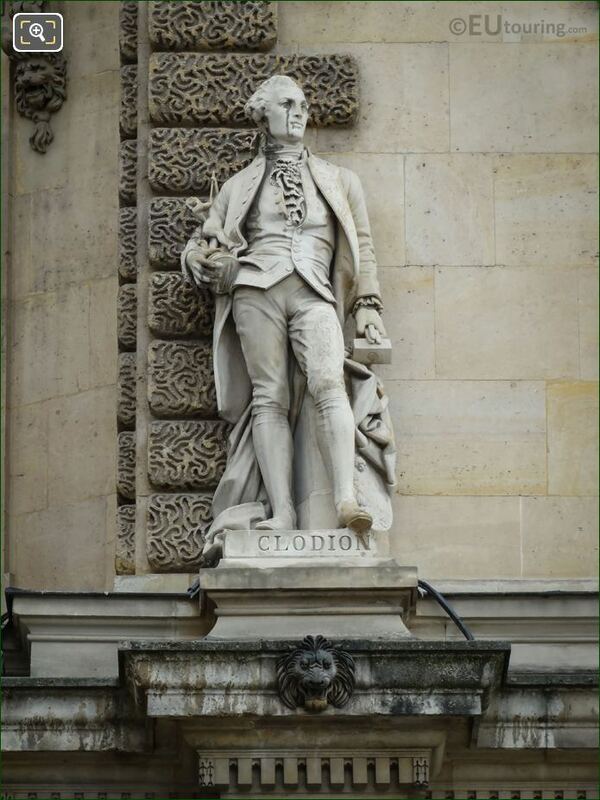 However, he also spent time during the French Revolution decorating houses in his home region prior to returning once again to Paris, yet the works of Clodion can now be found in numerous museums throughout the world including the Musee du Louvre, but especially in several museums within the USA, as well as in France, the UK, etc.